Kids With Costly Medical Issues Get Help, But Not Enough : Shots - Health News Children with multiple medical problems are a huge expense for state Medicaid programs. Critics say that care could be managed better, saving money and reducing unnecessary tests and treatments. 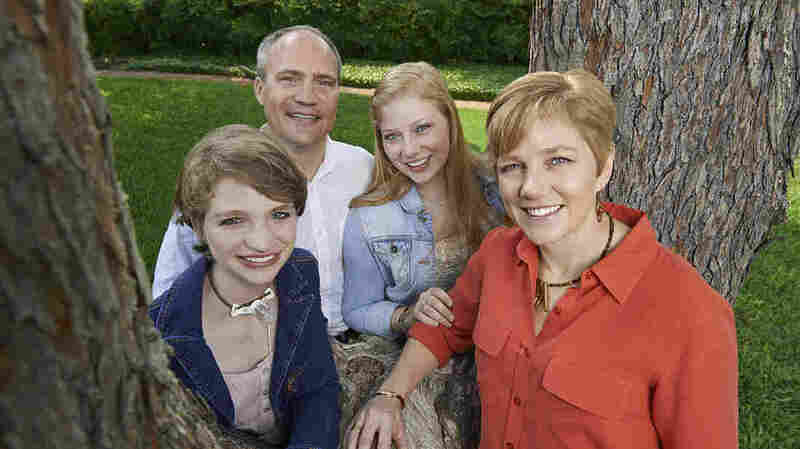 Katie Doderer is a very poised 15-year-old with short blond hair and a wide smile. She's a straight A student who loves singing, dancing and performing in musicals. This could be considered something of a miracle. "I have a complex medical condition known as congenital central hypoventilation – blah—syndrome. CCHS," Katie explains, stumbling on the full name of her malady. "Basically my brain doesn't tell me to breathe. So I am reliant on a mechanical ventilator." She also has a pacemaker to control her heart rate, and she has lupus. And though CCHS is very rare – Katie is one of only 700 children in the world diagnosed with it – she is part of a growing segment of the population that the health care industry calls "medically complex children." More than 2 million children in the U.S. are born with multiple chronic illnesses that often require frequent trips to the hospital. Problems include cystic fibrosis, muscular dystrophy and cerebral palsy, among many other diseases. As medicine has advanced, more very sick children survive past infancy, and even thrive. The number of medically complex children is growing at a rate of about 6 percent a year, according to the Children's Hospital Association. And that comes with a heavy price tag for state and federal budgets. Katie's care has been expensive, but her family is in a better position to deal with the challenges than most: Her mom is the CEO of Arkansas Children's Hospital. "Katie hit a million [dollars] in her first year of life," says Marcy Doderer, Katie's mother. Katie used to require 24-hour nursing; now the nurse only comes at night, but it still costs almost $75,000 a year, by Marcy's estimate. It's a service that most private insurance doesn't cover. It is, however, paid for by Katie's Medicaid coverage—even though the family is well off. "The stereotypical image that comes to mind is a very poor family with a child on Medicaid," says Marcy. "But it is important to know that in most states there's some sort of program that is there to supplement private health insurance for a truly medically complex child." The sickest 2 million kids account for about 40 percent of Medicaid's total spending on children. Many of these children have a combination of private insurance and Medicaid, and it can be challenging to coordinate care and coverage. Marcy Doderer, who until recently was the CEO of the children's hospital in San Antonio, Texas, acknowledges that her job gives her family an advantage. "I know how to navigate the system," she says. "I know how to find ways to get what my child needs that the average family would never know how to do." Still, Marcy has seen first hand all the ways that the medical system can fall short for patients like Katie. She says Katie's care is often scattershot. There is not a single person other than my husband really who is paying attention to how care is coordinated for a kid like Katie. "In our current health system in San Antonio there are no links between the medical records of the different specialists," Marcy says. "There is not a single person other than my husband really who is paying attention to how care is coordinated for a kid like Katie." Katie's dad, Mark Doderer, is her main caregiver. He has traveled with her more than 20 times to Chicago to see the doctors who specialize in Katie's rare disease. But Katie's Medicaid doesn't travel with them: The hospital in Chicago doesn't accept the Medicaid Katie got from Texas. And that care isn't coordinated. Mark says the doctors in San Antonio and Chicago often want to do the same test twice, like an EKG. "They'll just repeat it, because they want the EKG done according to their rules and that it's in their records," he says. "What a waste." Mark remembers a mix up between doctors that ended with Katie being prescribed a medication that interfered with another she was already on. The result could have been fatal. Marcy Doderer says hospitals can do better. At the Children's Hospital San Antonio, Doderer says she's tried use her experience as a mom to improve things by focusing on a child-centered team approach, even hiring special care coordinators in charge of managing care for each of the sickest kids. The Children's Hospital Association has been lobbying Congress to help create a special network within Medicaid to coordinate care between hospitals, too. "Our hope is to create legislation that would identify these kids in a separate bucket, so to speak, so you can build bridges between the state Medicaid programs to make care more seamless for kids who have to cross state lines," Doderer says. Improving the communication between doctors and hospitals to limit repeat tests and unnecessary procedures for medically complex children could save Medicaid $13 billion over 10 years, according to a recent study by CHA. But Matt Salo, who runs the National Association of Medicaid Directors, worries that while making care more efficient is a worthy goal, it could come at a price. "It's important to think about health care spending not as competing for infinite dollars where everyone gets everything they want," says Salo. "Health care is, unfortunately, a limited pool of funds. So carving out additional dollars for one group may well mean that another group gets less—low-income frail seniors or individuals with physical disabilities." In her new role running the children's hospital in Little Rock, Doderer says she'll continue her push for better care. For Katie, it means a new school, new friends and a new set of doctors. "She has challenging days," Marcy says of Katie. "It's not easy walking around with a ventilator, and you don't get to go swimming or have normal sleepovers with your friends. 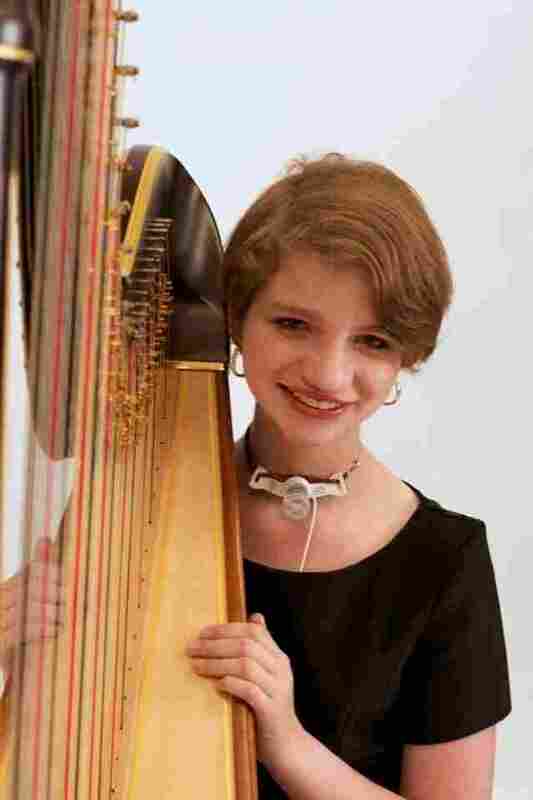 But she has traveled internationally, she snow-skis, she plays the harp." Up next? Learning to ride a bicycle, ventilator and all.